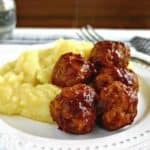 Simple two-ingredient meatballs are simmered in a tangy homemade barbecue sauce and are served over a skinny version of mashed potatoes. Do you ever get a craving for some good ‘ol pub grub? 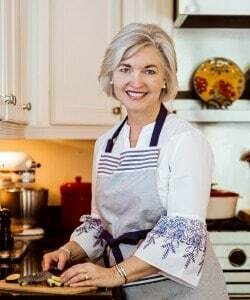 You know — the hearty meat and potatoes kind of food — burgers and fries, fish and chips, or one of my favorites, bangers and mash? 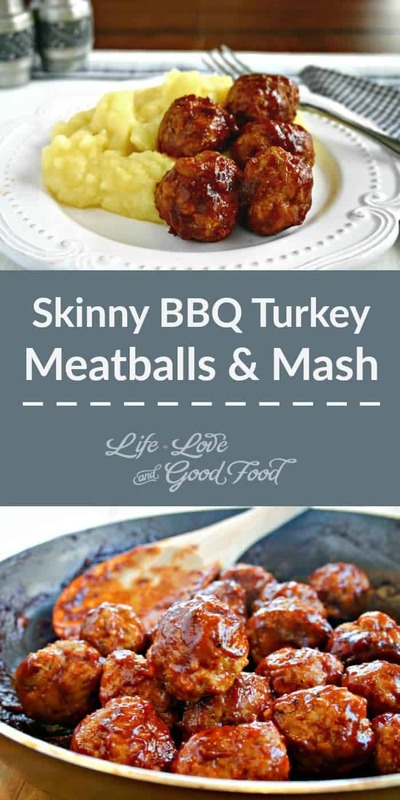 Well, here’s a new recipe that will satisfy that craving and has the added bonus of being very healthy as well, Skinny Turkey BBQ Meatballs & Mash. 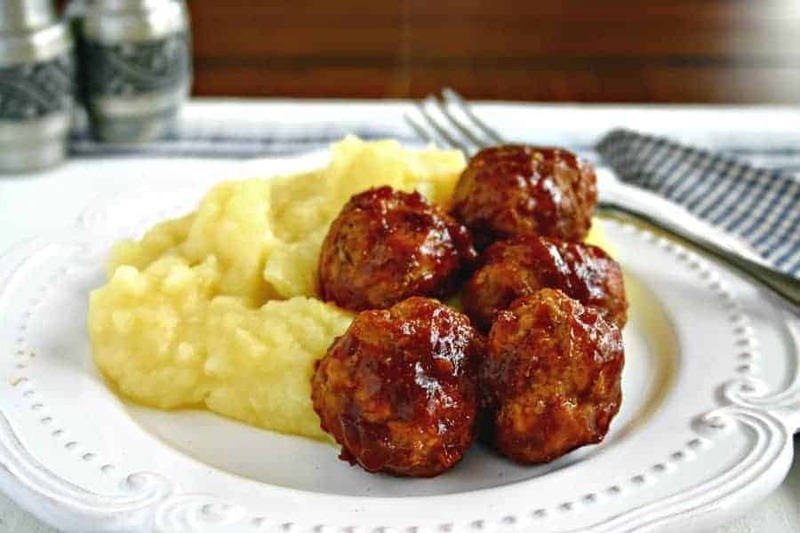 These simple two-ingredient meatballs are simmered in a tangy homemade barbecue sauce and are served over a skinny version of mashed potatoes to make a very filling and tasty meal. This was my first try at making turkey meatballs, and I’ve got to admit that I was skeptical that they might not be as good as my favorite saucy spaghetti meatballs, but they were really very, very good! I love the tangy barbecue and would even be tempted to stick a toothpick in them and serve ’em up as cocktail meatballs without the mash! 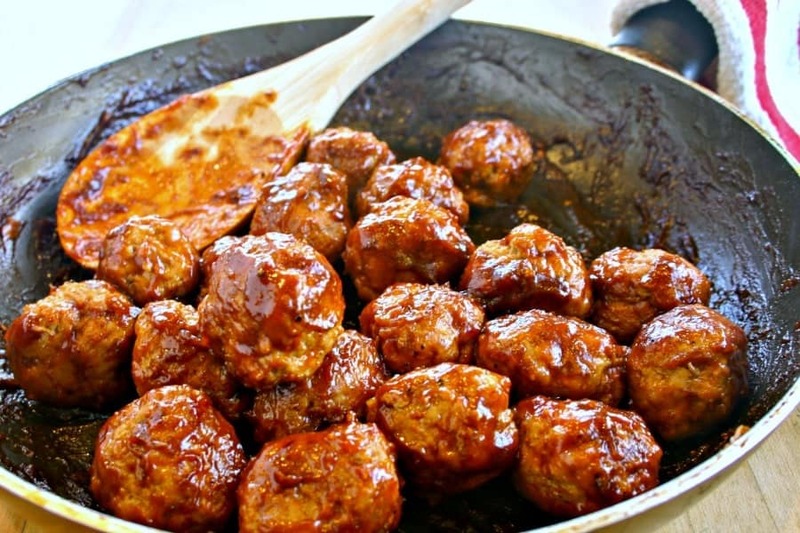 Just look at all that thick, tangy sauce – you know you need to make these meatballs now! Combine the ground turkey and sesame oil; shape into 20 meatballs. Heat a non-stick skillet over medium hight heat. Spray with cooking spray and add meatballs. Cook, turning often, for 6-7 minutes or until browned on all sides. 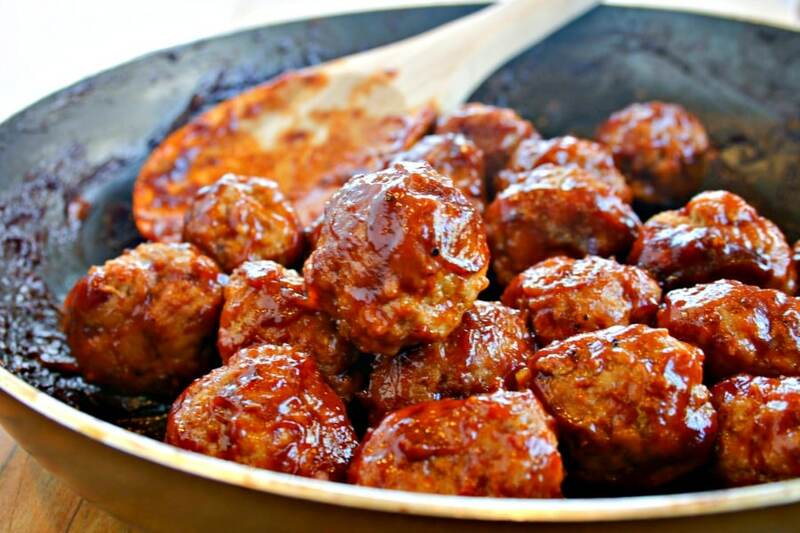 Remove meatballs from skillet and drain on paper towels. Add the water and ketchup to the skillet and stir until well combined. Add remaining BBQ ingredients and bring to a boil. Reduce heat and simmer 5 minutes or until slightly thickened. Return meatballs to the skillet and simmer in the sauce another 5 minutes or until cooked through. Add potatoes to the chicken broth and bring to a boil. Reduce heat and simmer 10 minutes or until fork-tender. Mash potatoes in the broth with a potato masher until smooth. 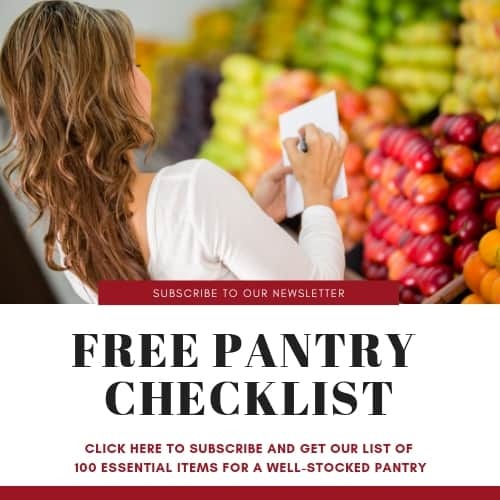 Add milk and butter and stir or mash until butter is melted and potatoes are desired consistency. Serve immediately with the meatballs.